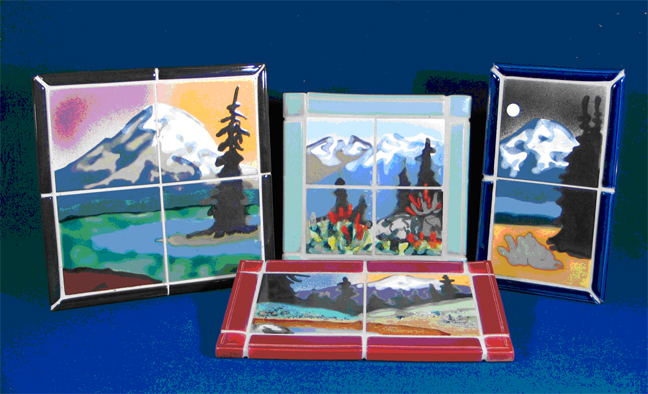 Paul Lewing's individual tile original designs are all hand-painted or hand screened and fired on. Pieces can be used as details in larger tile works or as trivets and stand alone art pieces. Paul's original designs are all hand-painted or hand screened and fired on. Pieces can be used as details in larger tile works or as trivets and stand alone art pieces. 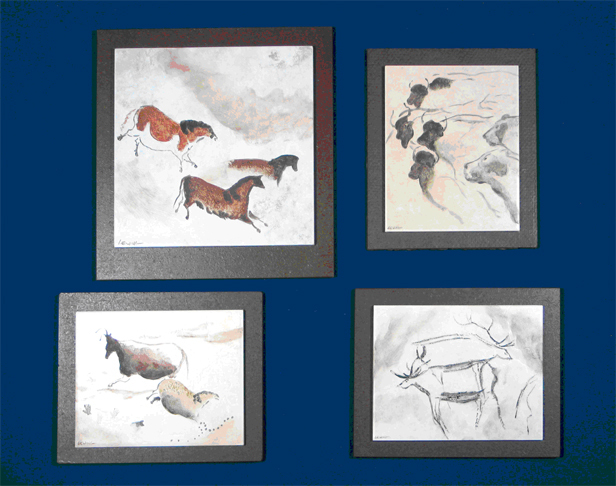 To see a full gallery of available pieces, contact Paul directly. Click on each image below for more information. Individuals, shops, galleries, and museums can order tiles by contacting Paul.